Cooper Spur is located on the sunny side of the hill on Mt. Hood. Rarely available, Cooper Spur is a tucked away location only eleven miles from Mt. Hood Meadows. If you are tired of the traffic on highway 26 getting to the slopes, this is a great alternative. This custom built Justus Cedar Lindal log home has had one owner. Its private and secluded on 7.97 acres of land and borders the Mt. Hood National Forest. Three bedrooms and two baths features and open floor plan with tons of windows to let the natural light in. 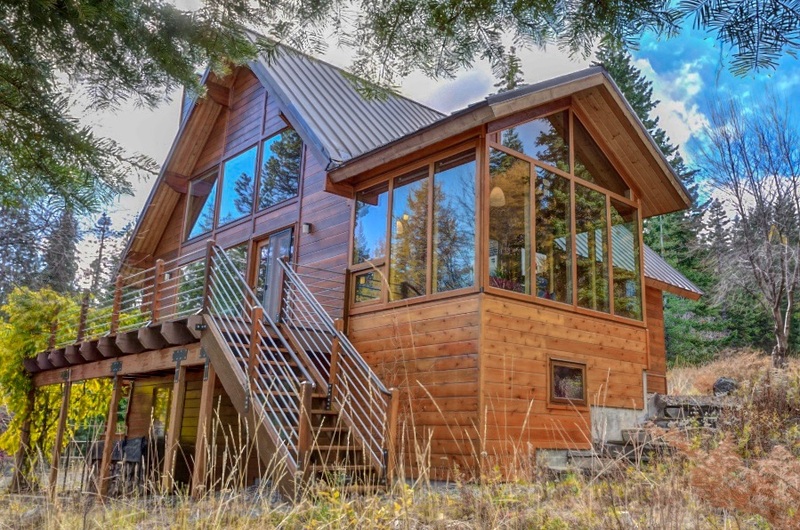 The home is energy efficient with a geothermal heat pump and a Piazzette Italian wood stove. The private and secluded location is within walking distance to the Cooper Spur Inn. It’s a short drive to Parkdale and Hood River. $560,000.